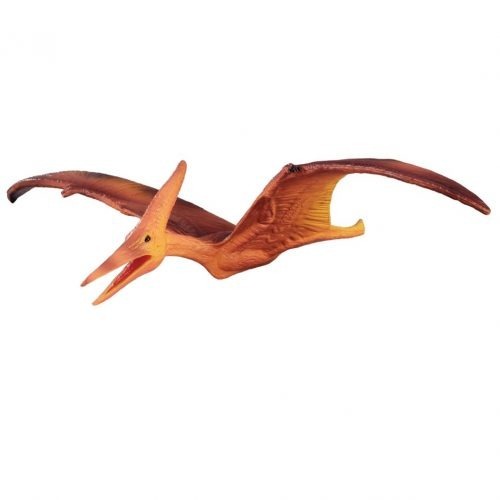 A hand-painted, museum quality model of the fierce dinosaur Velociraptor, complete articulated jaws. 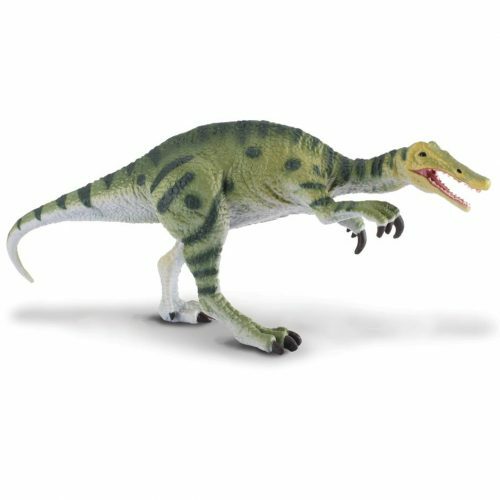 A Velociraptor model from Papo of France complete with moving jaws. A super, hand-painted model of the fearsome dinosaur Velociraptor, complete with articulated jaws. A museum quality model, great for creative, imaginative play. I’m over the moon with this model, it has so much character! The pose and expression are beautifully done, it looks bright and alert and bird-like, most befitting! It’s almost exactly like the raptors depicted in the JP franchise and though research has moved on in the few short years since that was released you’ll not find a better raptor model. Papo have exceeded themselves again in their ability to depict their models as living characters! The sculpt is based on Jurassic Park movie raptors. Beautifuly scaly and detailed. Posture is pasive. The movable jaw adds extra value to the figure. The teeth are well defined and painted. The colors are not exciting, but acceptable. I believe the colors of the first versión were much better. The paintwork is good, but my figure has two brown stains product of human error. The Conclusion: A very nice Jurassic Park like raptor. Perfect customer service as always. Perhaps more model construction kits, injection plastic and resin models? Handsome little guy, bought this with a few of the bigger predators. Lovely spot detail on the back and the jaw opens like the bigger models which this picture doesn’t show.